This is the finest in log-cabin getaways. 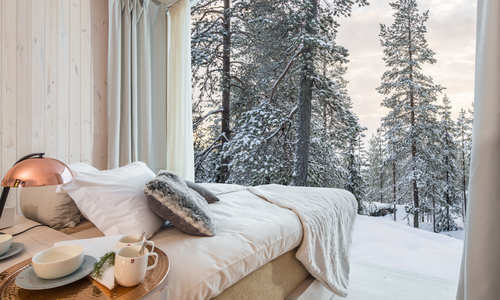 Hidden among Swedish Lapland’s snow-clad world of frozen rivers and remote forests, you’ll stay in one of just three log cabins, complete with private hot tub, fire pit and, hopefully, floor-to-ceiling views of the aurora borealis. 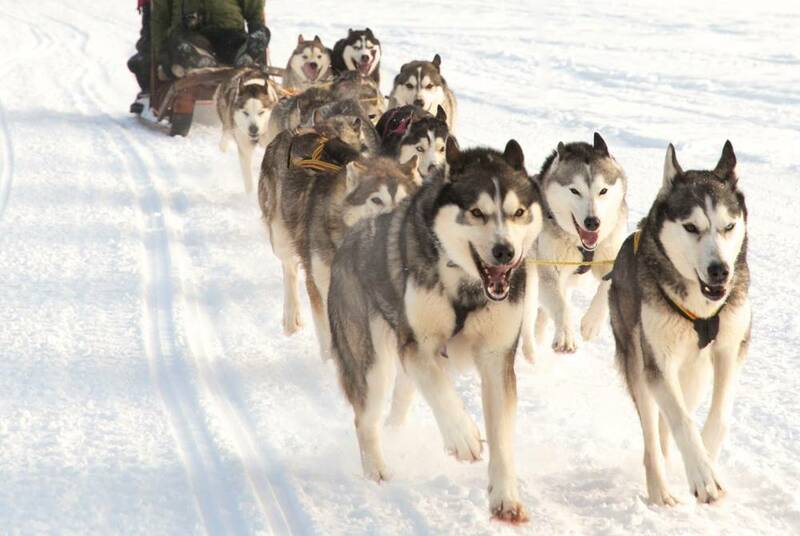 You’ll also explore your Arctic setting with a full range of included excursions, from snowmobiling and husky sledding to an expert-led hunt for the Northern Lights. And, each day, you’ll return to sauna soaks, evenings by the fire and full-board gourmet dining, informed by local ingredients. Flying out to the depths of Swedish Lapland, you’ll be met a Luleå Airport by an included transfer and brought to your idyllic accommodation. 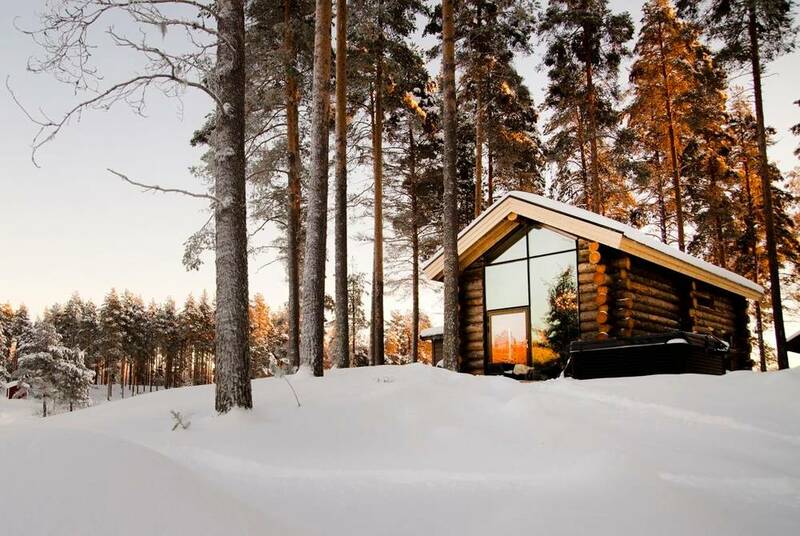 Staying in log cabin, you’ll enjoy a certain secluded intimacy, combining a traditional aesthetic with modern Scandi chic. 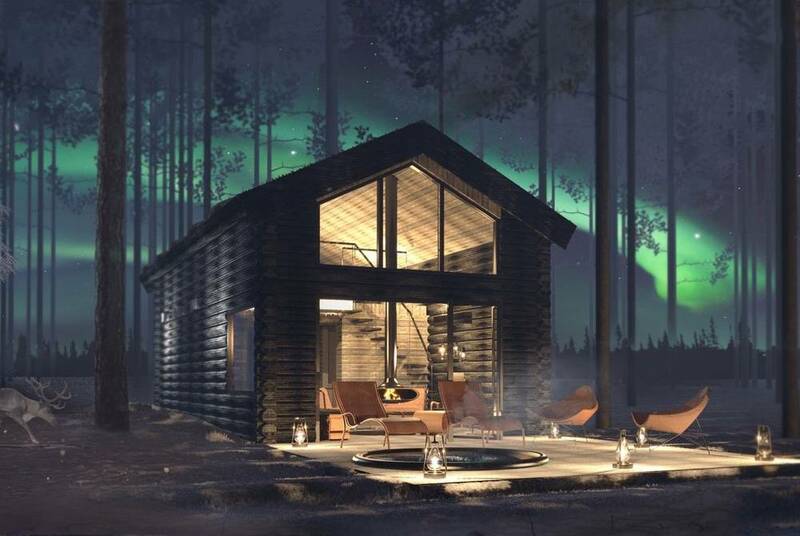 Think floor-to-ceiling windows that invite in views of the aurora borealis. 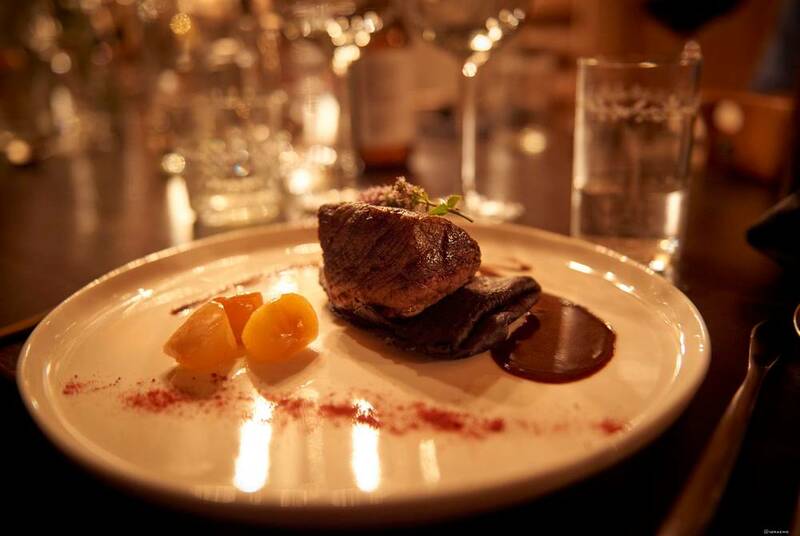 You’ll also enjoy the first of your full-board meals, with sumptuous dinners ranging from hearty reindeer stews to fire-cooked salmon. They often extend into multi-hour feasts. Then, perhaps end the day with a soak in the Swedish sauna or your cabin’s very own private hot tub deck, complete with fire pit. Just remember to keep your eyes out for the Northern Lights. Following a hearty breakfast – the local jams are a special highlight – you’ll begin your programme of included excursions with husky sledding. 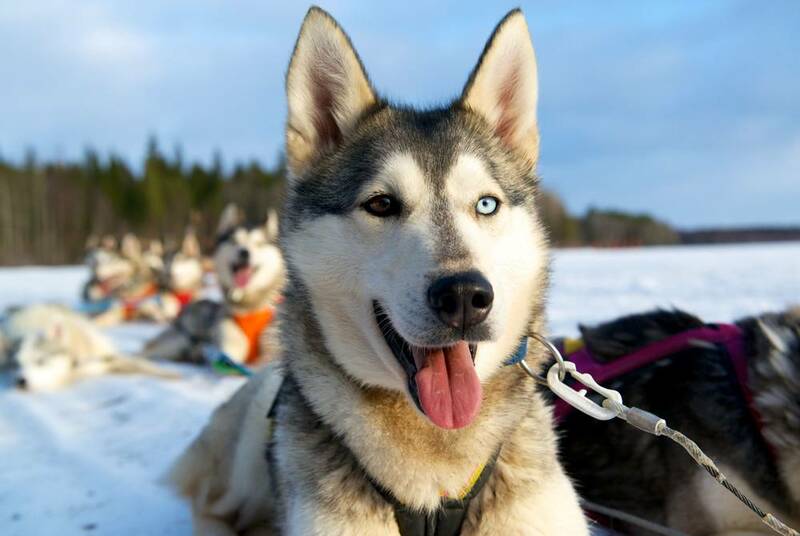 After an in-depth briefing and a chance to meet the friendly dogs, you’ll be handed the reins to mush out over frozen rivers and along spellbinding forest trails, alternating between driving and being a passenger. 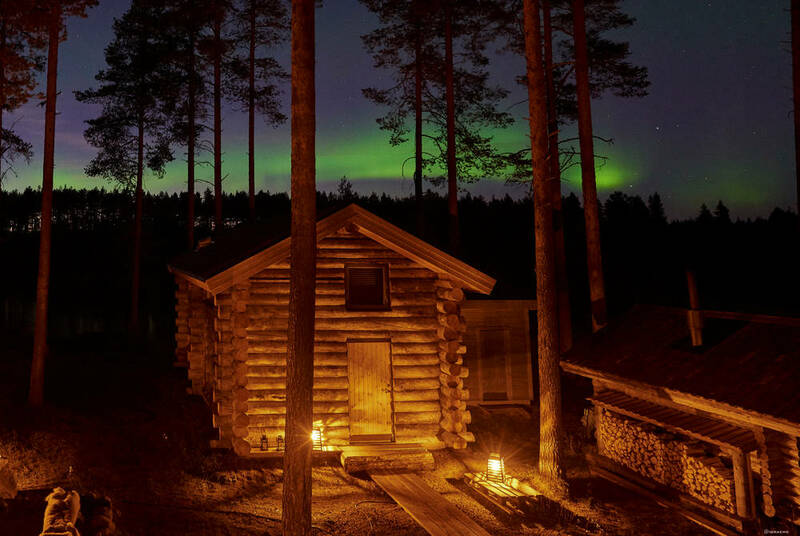 Following an indulgent lunch (often taken as an evocative picnic) and another delightful dinner, you’ll end the day with an included Northern Lights Workshop. Having consulted the forecast, your expert guide will bring you out on a drive or walk into the Lapland wilderness, providing photography tips, hot drinks and snacks, and a scientific background on this stunning visual phenomenon. Today is given over to the thrill of snowmobiling. 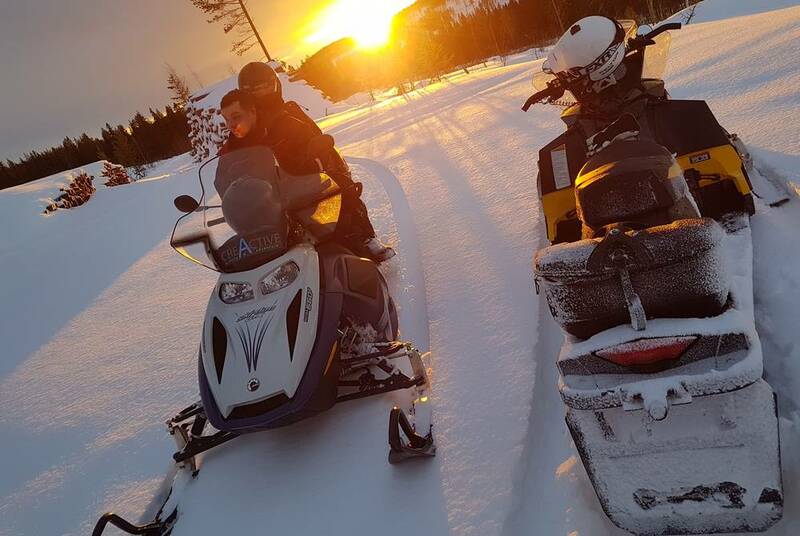 After full instructions on how to handle these 550 CC machines, you’ll set out over the frozen Råne River, passing through forested landscapes of snow-covered pines to arrive at Gumberget Mountain. 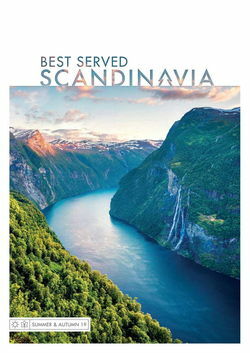 Here, before turning home, you’ll enjoy spectacular views over the river valley and a traditional Swedish fika of hot drinks and snacks. There’s even a good chance of spotting reindeer and other wildlife on your trip. Then, back at base, and in between your included full-board dining, there’s also plenty of time to explore at your own pace, perhaps with snow-shoes, cross country skiing or a moose safari. 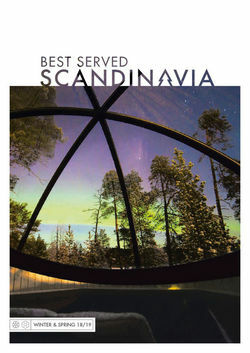 Alternatively, you might just want to relax in your private hot tub, the wood-fired sauna or with a spa massage. Following a final breakfast, an included transfer will see you to the airport for your flight home. 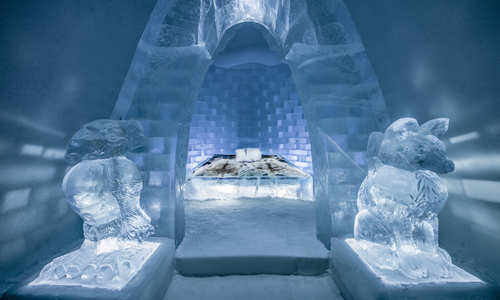 Comparing Ice Hotels – Which is Best? Thinking about staying in an ice hotel but unsure which to choose? We compare our top three hotels to help you decide where to go.